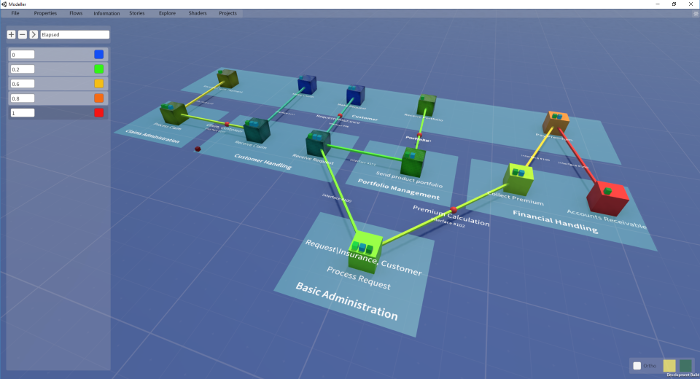 Use AIM to model your Enterprise Architecture in animated 3D. Build a digital twin of your Enterprise IT platform to plan how information is mastered, exchanged, and used. Speed up and de-risk your transition to a digital platform by using a tool that allows you to model and validate digital information flows. Build understanding and consensus with business stakeholders on how the Enterprise IT platform supports the business. 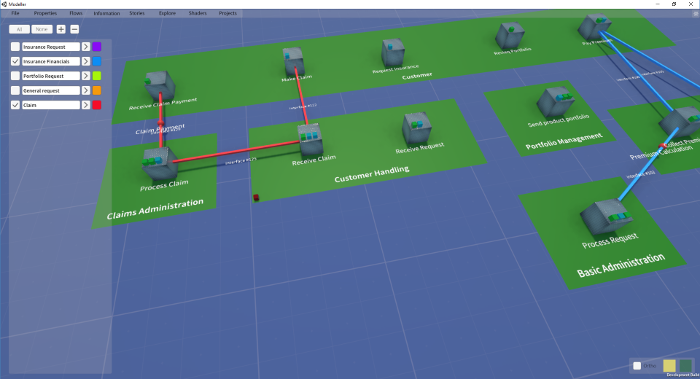 Use Story Mode to create animated fly-throughs of your Enterprise Architecture to explain how it works or what changes you are planning to everyone in the business. Improve project delivery by having a working model of information flows as part of project governance. Build a digital model to guide IT investment and streamline business service delivery. 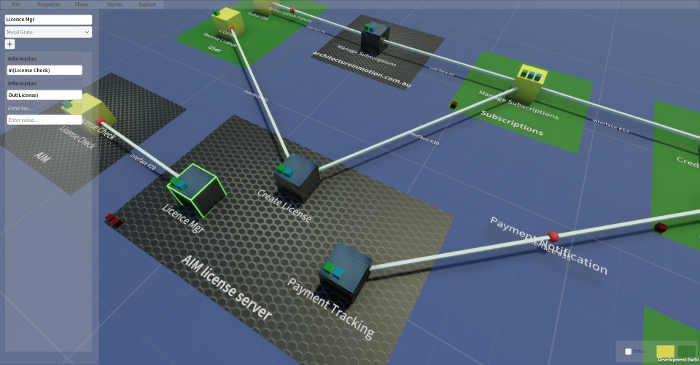 Create a model of your business information flows in AIM, to speed up and de-risk your transition to a digital IT platform. Color code your information flows to make your design easier to understand. Organize information flows into color coded groups. Turn flows on or off to support design discussions. Examples of groups might be ‘billing’, ‘ordering’, ‘support services’. 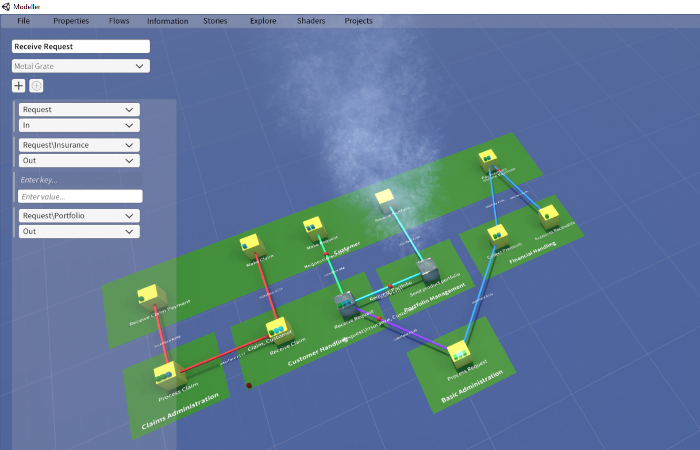 Visually filter your model to improve communication and understanding with colleagues. 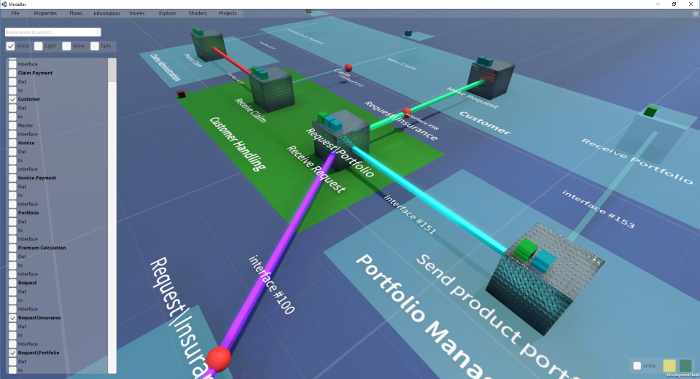 Tag your model with attributes, like investment status, vendor, business unit, and then visually filter your model to help improve understanding and communication with stakeholders. Change your model and get visual cues from AIM if your information flows don’t ‘compile’. 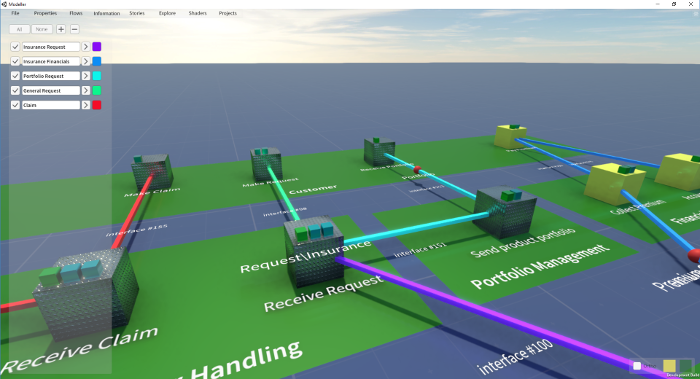 AIM checks the flow of information between functions in your digital model as you build it, providing visual cues when your design needs adjusting. Hover over the model element in question for AIM to provide a recommendation on what model adjustments are required. See where your business runs the slowest with a heat map of cumulative processing time. Define a ‘time’ attribute against your business functions and information flows from seconds through to weeks. AIM can then show you a heat map of discrete processing times and cumulative processing times so that you can focus on areas that need the most attention. Create animated stories to communicate your digital transformation plans across the business. Once you’ve created and validated your model, use story mode to create a narrative around your model. Put your AIM stories on display around your office so that everyone is informed about the direction of your IT spend, and how it supports the business.